How much you make can often be a taboo subject, but according to experts, knowing what your peers earn is paramount to getting fairly compensated yourself. 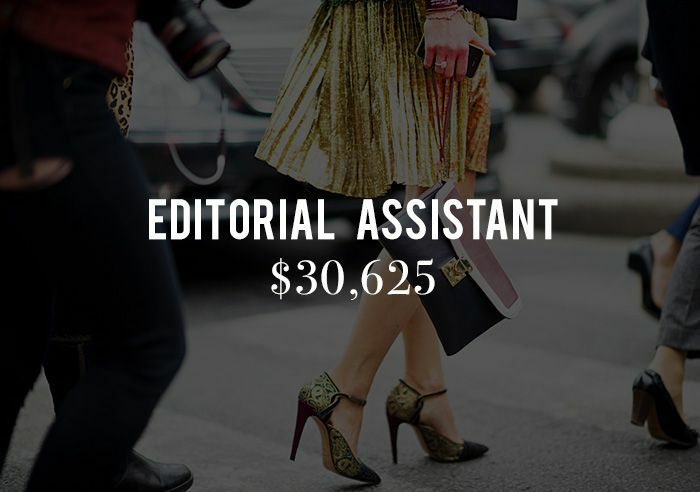 Accordingly, we thought we’d share some annual salaries of real fashion editors at Condé Nast, the publishing company home to Vogue, W, Glamour, and more. Scroll down to see what people really earn in the fashion publishing world—the numbers might just surprise you. Note: The annual salaries are from anonymous Condé Nast employee reports from GlassDoor.com. Are these numbers higher or lower than you expected? Let us know in the comments below!